The pouch aroma of this blend smells really good. I am picking up on hints of vanilla, chocolate, raisin, a little bit of fruitiness, and maybe a very light hint of rum. This seems to me to be a mixture of the Regular Blend and the Gold Blend. The moisture content of this blend is on the wet side and it is a little sticky. Some drying time would be recommended. I loaded up my pipe and proceeded to the charring light. On the charring light, the aroma smelled nice and sweet with hints of chocolate and some light vanilla. Flavor wise on the charring light; it was sweet with no discernable flavors. I finished lighting the pipe and settled in for the smoke. From the beginning, the flavor was on the light side. I am picking up on light hints of chocolate and some very light hints of vanilla in the flavor. The flavor never changed much from start to finish, but every once in awhile I would get a very light hint of coffee. The flavors did start fading a bit towards the end of the bowl. This blend tasted sweet, but not overly sweet. I could taste the flavors, but they were not very strong. This is a solid blend in the aromatic genre. It smoked cool, dry, and didn’t bite. It also didn’t leave a goopy mess in the pipe. Once again, I would agree that 7 Seas Royal Blend compares with Captain Black Royal. I prefer the 7 Seas because it has a darker, richer, deeper flavor than Captain Black. 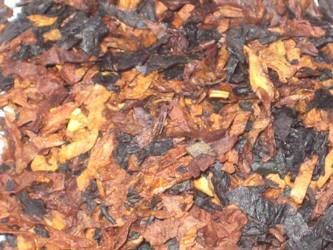 If you like Captain Black Royal, I think that you will really enjoy 7 Seas Royal Blend. I Recommend it. 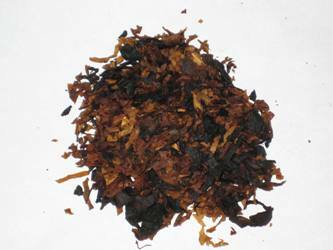 Description: An aromatic blend of black and golden tobaccos combined to create a delightful and mellow smoke. 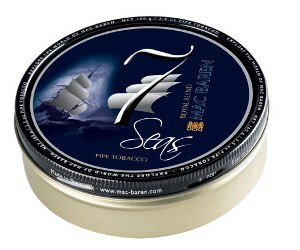 Mac Baren 7 Seas Royal Blend - Click Here to Order Now! Mac Baren has done a great job with their entry into the American style aromatic tobacco blends. Thanks for the review Bob. Thanks for the review! It’s been a long time since I’ve smoked an Aromatic … maybe I should try it again. I have been pounding the brick’s on this website looking for at least one of my pipe smoking fraternity brother’s to give me the lo down on MacBaren’s 7 Sea’s Blend’s. Well lo and behold look who show’s up right under my nose. Thankyou Bob, a.k.a. Python! I think I better get my eyesight checked again. Just tried the Gold Blend, not bad. The price here in Europe at €5 per packet means it will win some friends in these hard economic times.